GALION — Uptown Galion businesses are once again preparing to be a part of Small Business Saturday as a kick off to the local holiday shopping season on Nov. 24. 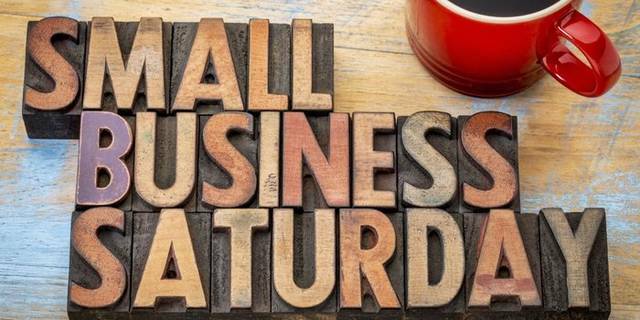 Small Business Saturday began in 2010 as a way to help local and small businesses who were suffering as a result of the slow economy. It was the idea of corporate giant American Express, and was so successful that the United States Senate passed a resolution in support of the day in 2011. The event is held every year on the Saturday after Thanksgiving. This year, the Galion-Crestline Chamber of Commerce is working hard to make it a successful day again. The Chamber will have tents set up outside of their office on Harding Way West in Galion and the United Bank on North Seltzer Street in Crestline from 9 a.m. to noon to hand out free shopping bags and other Small Business Saturday promotional items. A flyer that will include all participating businesses, with their hours, location and sales items will be handed out. By stopping at each participating business, shoppers will have a chance to enter a raffle to earn a gift card, the more businesses visited, the more chances a shopper has to win. Many establishments will be offering specials for that day only as well as door prizes. To date, participating businesses in Crestline include: Depot Deli, United Bank, Fulton TV & Appliance Repair, and Susan’s Doggy Spa. The participating businesses in Galion includes: Hillman Jewelers, Tiger Blendz, Eagle Dance Center, H&K Watkins, East of Chicago Pizza, The Candi Bar, 1803 Taproom, H.R. Wolf Hardware, Brush & Palette Art Gallery and Phil’s Deli. More businesses are being added daily in each city!! This is the first time that businesses in Crestline will be participating in the chamber’s small-business effort. “We are still working out the details for our members in Crestline who want to participate, but it is exciting to see the event grow and gain momentum,” said Chamber Member Engagement Director Miranda Jones.